The Super Bowl is the greatest sports spectacle on earth. It is true that more people will watch the World Cup, but there is truly nothing like the Super Bowl. The halftime show, the money spent on advertising, and the buildup leading up to the NFL’s biggest game makes this a spectacle that has quickly become a world event. Because it has become so much a fabric of American culture as well as that of other nations, almost all of the aspects of the game have become fodder for oddsmakers. 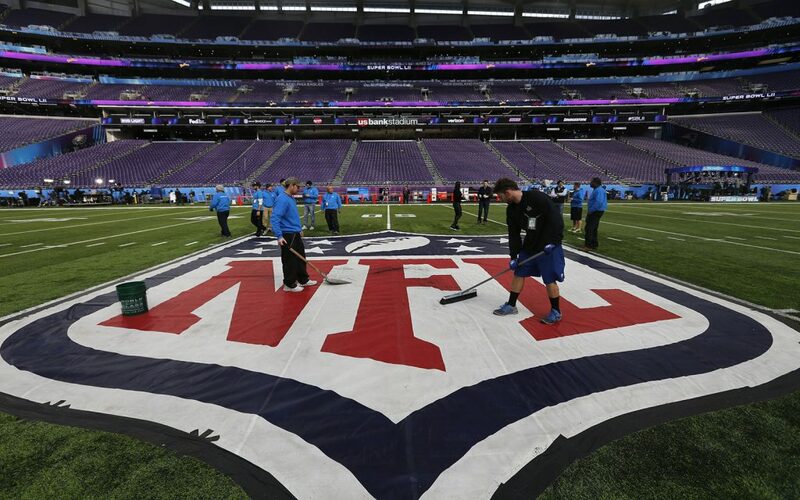 Some of the most common events to the Super Bowl have now become options for a person to wager upon. Here are some of the ones you may want to be opting to wager upon for Super Bowl LIII. It’s a 50-50 chance as to which side of the coin will come up. Interestingly enough, you can make three different wagers based upon the coin toss. Obviously, with a 50% chance of it going either way the odds that the coin comes up either heads or tails is both set at -105. You can also wager on who you believe will win the coin toss. Both teams also come in at -105. Lastly, you can place a wager on whether you believe that the coin toss will actually determine the winner of the game. Both odds are also set at -105. As an interesting note, the last time the winner of the coin toss alsowon the Super Bowl was 2014. The Super Bowl will be played at Mercedes-Benz Stadium in Atlanta. This Stadium offers a retractable dome, and you can wager upon whether you believe the roof will be open during the opening kickoff. If you say yes, the odds are even, but a no will cost you -140. The roof at Mercedes-Benz Stadium is not the only opening you may want to wager on. Chick-Fil-A, the company that is known for being closed on Sunday, has been pressured by the NFL to have their concession stand open on Super Bowl Sunday. The odds are +575 they will be open and -1100 they will be closed. The company has been adamant they will not be open, but too often money talk is. Commercials have become almost as big of an event as the Super Bowl itself. Companies spend millions of dollars for a 30 second commercial spot during the Super Bowl, which has led to a number of interesting prop bets. It starts with the total number of commercials, with the over/under set at 96 (-120). You can even choose to wager upon whether the phrase “Dilly Dilly” will be said during a Bud Light commercial. The yes is at -200, while the no is at +150. Will either Romo or Nantz say “Hotlanta” (-200). This is a nickname Atlanta has been given, and you have to expect the two will use it even if they are ironically discussing it because of the recent cold spell that has besieged the city. How many times Rams head coach Sean McVay’s age will be mentioned: Over 1.5 (-175), under (-135). When you’re young head coach who has led his team to the Super Bowl, your age is going to be mentioned. Many marveled at how accurate Romo was with his pre-snap calls during the AFC championship game. Now you can wager on how many he will correctly predict during the Super Bowl, with over 7.5 coming in at -140 and under 7.5 at even. It is true that football may not be for everyone. At least you now have other ways to enjoy the Super Bowl.